A Kerala High Court Bench comprising of Ag. Chief Justice Mr. Ashok Bhushan, Justice A.M. Shaffique and Justice A.K. Jayasankaran Nambiar, in an order delivered on 18th December, 2014, has held that a Writ Petition is maintainable even against a private management if there is violation of statutory obligation. 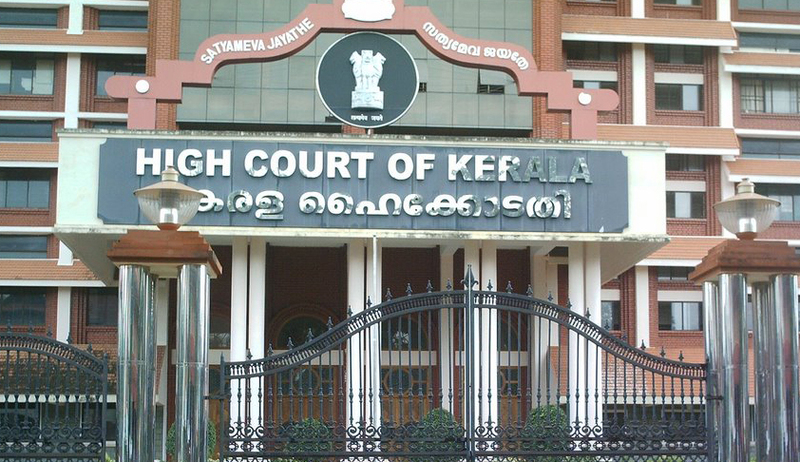 The Court was hearing a petition filed by Dr. John Kuriakose, who was a lecturer in English at the Mar Athanasius College, Kothamangalam. St.Mary's College, Manarcaud, Malam had issued an advertisement in the University News dated 8.5.2000 inviting applications for appointment to the post of Principal of the College. The petitioner submitted an application for the said post. A Selection Committee was constituted in accordance with Section 59 of the Mahatma Gandhi University Act, 1985. The petitioner was recommended to be appointed as the Principal. The College issued an appointment order to the petitioner appointing him as Principal with effect from 3.7.2000. The petitioner referred an application to his earlier institution for being relieved with lien of five years. The application was granted. The petitioner was however, placed under suspension by order dated 3.9.2003, pending disciplinary proceedings. Challenging the order dated 3.9.2003, the petitioner filed W.P(C).No.29801 of 2003. In the Writ Petition a preliminary objection was raised by counsel for the management that the Writ Petition having been filed against a private body was not maintainable. It was contended by the management that in case the management imposes any punishment, the petitioner has got an effective alternative remedy by way of appeal before the University Appellate Tribunal under Section 63(6) of the Act, 1985. The respondent submitted that it is a minority institution and hence, it has a right to appoint its Principal and also a right to terminate the Principal. The petitioner had asserted that he was never issued a charge memo as required by the Statute; hence the entire disciplinary proceedings initiated against him were without jurisdiction. He further submitted that there was no allegation against him and the proceedings were initiated somehow to oust him from the College to accommodate certain other persons. He further submitted that there is no question of availing the alternative remedy before the Tribunal, since the appeal before the Tribunal can be filed only against a punishment imposed, whereas the impugned order cannot be said to be any punishment order within the meaning of the Act, 1985. Having settled the issue of maintainability, the Court went on to consider the case on its merits and ruled that petitioner's appointment not being on deputation, treatment of the appointment of the petitioner as deputation and termination of the deputation was wholly without jurisdiction and beyond the power of the management. The Court further observed, “The petitioner, who was substantively appointed by direct recruitment after following due procedure in the Act and Rules, has been illegally and arbitrarily treated to be on deputation by the management and the order dated 12.10.2004, thus, is unsustainable and deserves to be set aside. We further observe that the order dated 12.10.2004 being not covered by any of the penalties as contemplated under Section 63(6) of the Act, 1985, there is no remedy available to the petitioner to file an appeal before the University Appellate Tribunal. Thus, neither the earlier judgment of the Full Bench of this Court dated 27.7.2004 nor the provisions of Section 63(6) shall come in the way of the petitioner approaching this Court for exercise of jurisdiction under Article 226 of the Constitution. We, thus, hold the order dated 12.10.2004 unsustainable and set aside the said order. Setting aside the impugned order, St. Mary's College, Manarcaud, Malam P.O., was directed to make payment of a lump sum amount of 50,00,000/- (Rupees fifty lakhs only) in lieu of salary which the petitioner could have received, had he not been terminated from service. The amount was to be paid from the date of delivery of the order.